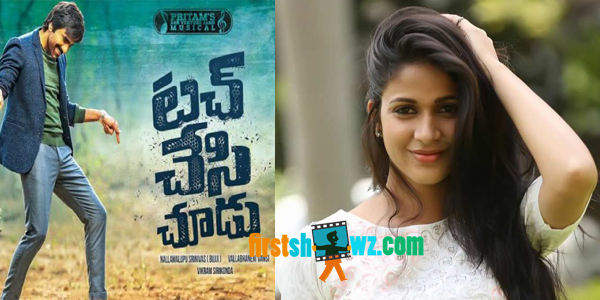 film titled Touch Chesi Choodu. Touch Chesi Choodu is a commercial mass entertainer and the first look posters have been recently launched on 26th January. The film will feature 2 heroines, and buzz has it that Lavanya Tripathi and Raashi Khanna have been roped in as female leads. Ravi Teja will be playing an interesting role in Touch Chesi Choodu to be directed by Vikram Siri. The cameras will roll from February for this Nallamalupu Bujji production flick.